Pure Brandz Chamonix women’s ski jackets are made with only the best materials on the interior and exterior. To stop the wind and snow from creeping in, the Chamonix jacket boasts bonded plackets, Lycra cuffs with thumb hole, and a secure connector interface that locks the jacket to your pants. What’s more, trusted YKK® waterproof zips guarantee protection against the elements. Designed to enhance your skiing experience, the Chamonix jacket features articulated elbows – angles built into the jacket around the elbow that provide unencumbered range of motion – and adjustable cuffs, hem, and removable hood for that extra versatility and comfort. 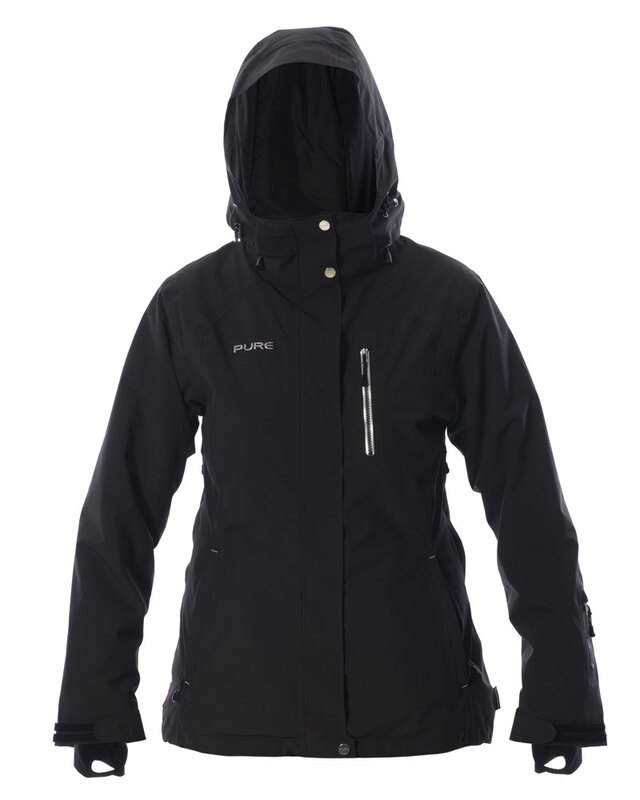 The Chamonix is one of the lightest women’s ski jackets of similar spec at an average weight of just 829g. To optimise jacket weight to 667g, simply unzip and detach the hood and powder skirt from the jacket. 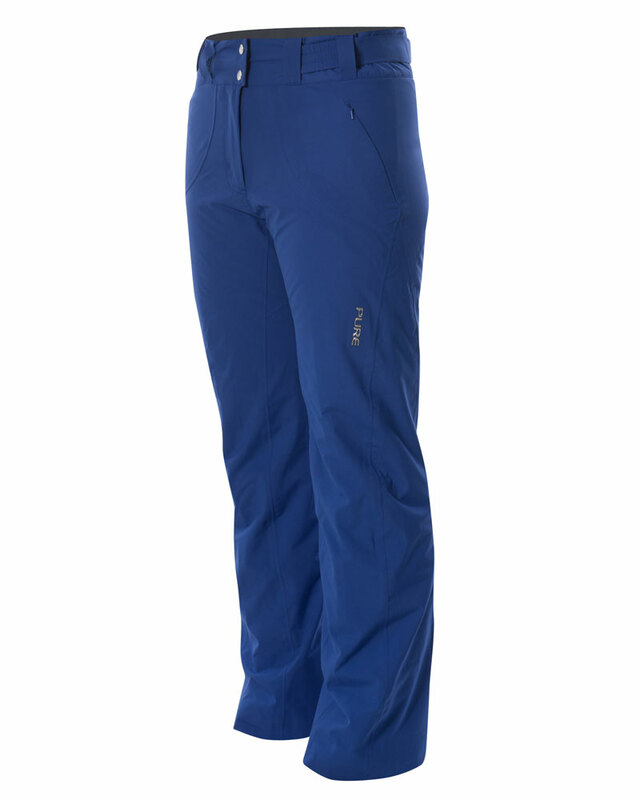 Enhance your style and show off your personality by pairing your new jacket with some of the best ski pants for women. Simply click on the thumbnail images below to view and order pants.